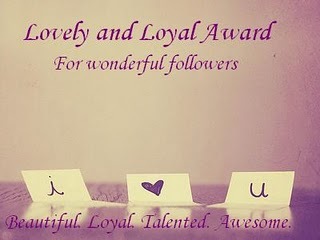 Last week I entered a writing contest sponsored by Expats Blog. The theme for the contest was top things about your new home, with a lot of room for creativity. 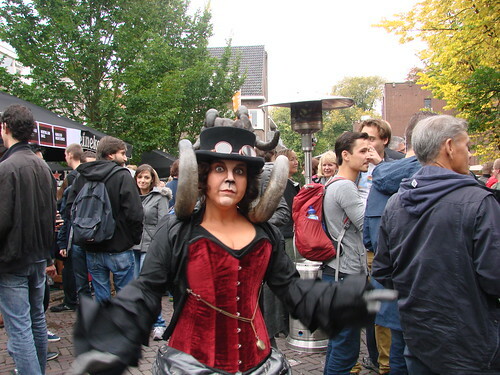 I went with the topic of five ways Utrecht combines cultural events with its historic settings. The top articles will be chosen by Expats Blog, but they will also be awarding prizes for blogs with the most Tweets, Likes/Shares on Facebook, and the best comment on the article. I’m pretty sure I don’t stand a chance with the Twitter/Facebook prizes, considering some of the numbers I’ve seen, but a really great comment on the article is something attainable, especially with awesome readers such as yourselves. Plus, the comments are the most satisfying. So, if you feel like putting in a good word for me, go here, give my article a read through and leave a comment at the end. 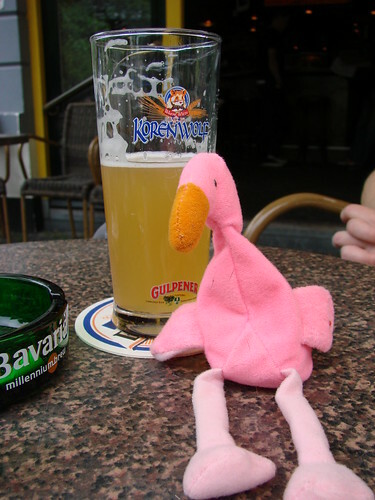 If I win best comment, I’ll send the commenter a little something from Utrecht. As we prepared for our move here to the Netherlands, I spent most of the time worrying about getting our pets into the country safe and sound. 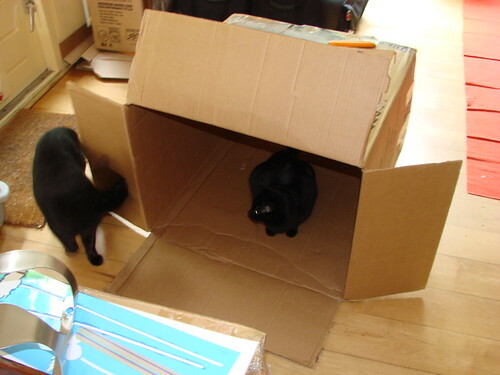 Two cats and a big dog required their own crates and their own multiple copies of paperwork, as well as a drive to another state so that we could avoid having a layover. It was all worth it, though, as there was no way we would have left any of them behind. In fact, I was always shocked when people asked us if we were taking our pets when we moved overseas. Of course! If we had human children, would you ask that question? To us, our pets are our children. We’re not the only ones who can’t imagine leaving a pet behind. Although there are times when expats do have to leave a pet behind, it’s usually with a trusted family member and it’s a difficult decision. But many expats do take their pets with them. I’ve come across quite a few, and now I’m looking for more. You see, I’m fortunate enough to have been asked to participate on a project about expats here in the Netherlands and the pets — expets — that they brought with them. Dutch photographer and journalist Robert van Willigenburg had the idea for this project and I’m going to be helping out, interviewing my fellow expats about their expets. He will be photographing everyone. He has already written, photographed, and produced the book Kat in de Stad (Cat in the City), a look at some of the well-known shop and neighborhood cats of Utrecht. Our very own neighborhood Sheriff is included! So, we’re now looking for other expats and their pets here in the Netherlands who would be interested in participating. Your pet needs to have made the move with you, rather than having been adopted here, and still needs to be alive, of course. If you now have a mix of expets and native pets, that’s fine. We’re also interested in Dutch nationals who were expats themselves and adopted a pet while abroad before returning back to the Netherlands (with pet in tow). If you are an expat with an expet or know of any, please get in touch with me or Robert. We have a number of people interested in participating so far, but we’d love to find more. You can share this post on Twitter, Facebook, Google+ and any other places where you think you can reach expats in the Netherlands. Please help us spread the word! A surprisingly hard theme this week to choose a photo for, since my whole blog is about learning about a foreign city that has now become my home. As an American living in the Netherlands, I’m gradually finding it harder to pinpoint what is foreign any more, as I get more used to the country. Italy is both foreign and familiar to me. I studied its art at university and I’ve shared my life with an Italian for 11 years, but there’s enough that is still foreign and fascinating. I have a number of photos from my trips to Italy, but the first batches are actual photos and negatives. The last batch is saved on a disc, but my laptop won’t read it. Fortunately, I had one photo already saved on my laptop, so this is my last-minute foreign photo submission. 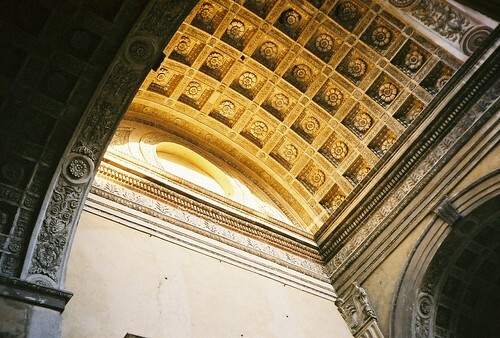 The architecture of Italy isn’t foreign to me. In fact, when I stumbled across this church (Sant’Andrea by Leon Battista Alberti) on a trip to Mantova (Mantua), it was like running into an old friend in an unexpected place. I had gone to Mantova to see the Palazzo Té, completely forgetting that this church was also in the city. You can read more about it (and see the full facade) here. 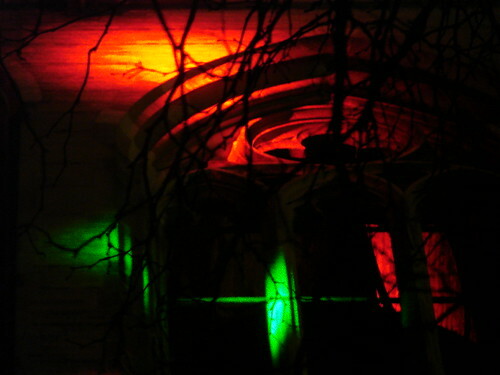 My photo is just a detail of the central arch of the facade. Another expat recently wrote about her own visit to Mantova, which is something of a hidden jewel. You can see other interpretations of “foreign” at the week’s weekly photo challenge page. 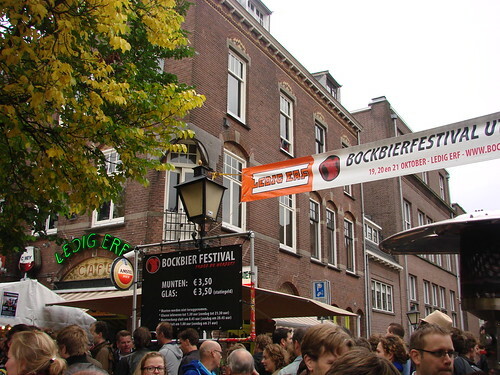 Saturday afternoon, we headed down to the southern tip of the old city center to take part in the annual Bock Beer Festival. 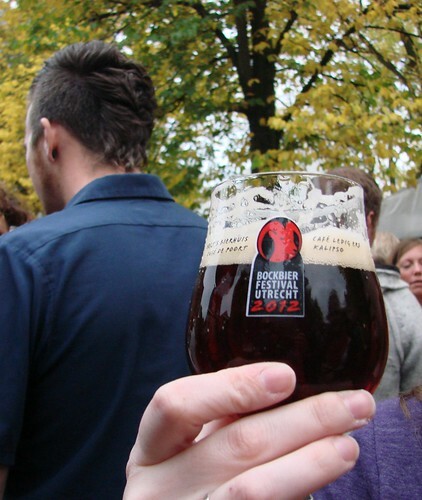 Held at Ledig Erf each year, the three-day festival is a great opportunity to try a variety of mostly local bock beers, the traditional autumn beers. In all, there were 22 beers from which to choose and each one was surprisingly different. All of the ones we tried were lekker! Last year we met up with Amy in NL and her husband, and this year our group expanded to also include A Georgia Peach Abroad. The more the merrier! Just as our group expanded this year, it seemed like everyone else’s group expanded, as well. Despite the overcast weather — although fortunately there was no rain — the crowd on Saturday afternoon was bigger than we remembered it being last year. When you’ve got 22 beers to choose from, it can be difficult to decide on which ones to try, since we certainly weren’t going to be trying them all. Our initial plan for the day was to start with the ones with the oddest names. As a result, we tried the Lipreader (Butcher’s Tears), the Slobberbock, and considered the Maximus Bock, but got sidetracked instead by the Steenbrugge Abdijbok. One thing I did remember from last year were the horned creatures wandering through the crowds. Last year, they were a bit more “woodsy“; this year they had a steampunk vibe. When I first spotted them this year, one was having a baaaaaaa-off with a young boy. However, when they spotted me and my camera, they seemed a bit startled. You know how woodland creatures can be skittish. Still, after a few tentative sniffs, they soon realized I was friendly and then it was all smiles! I didn’t even have to lure them in with a tasty Slobberbock! It’s Expat Blog Hop time again! I missed the last one or two, but thought I’d give it a go again this week. What was the hardest thing for you to adjust to when you moved to your new country? What tips would you give for new people arriving? I’ve yet to have any major breakdowns over moving here, but despite being generally even keeled, there are the occasional moments of frustration for me. 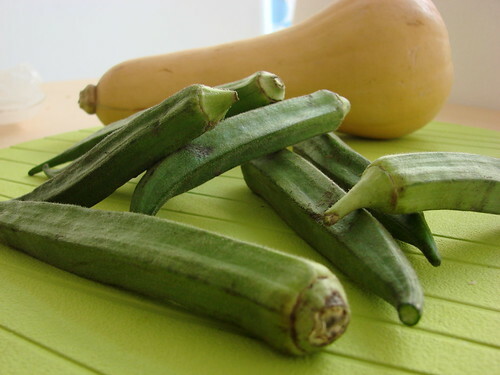 I mean, what’s a Southern girl going to do when she thinks she’s not going to be able to have okra again! Yeah, fortunately I found a couple of sources. It’s not as convenient as it was in the US, but it is available. Then there was the search for baking soda. Who would have thought that finding good ol’ Arm & Hammer Baking Soda would be so difficult! Fortunately, I found it at the same toko where I can usually get my okra. For the record I go to Toko Centraal over by Vredenburg/Hoog Catharijne. It’s a good source for harder to find items at reasonable prices. In other words, it’s those little items that you took for granted at home that suddenly become a major issue when you realize you have no idea where to find them or if they’re even available. When you move to a new country, suddenly everything is that little bit harder. Where do you buy an iron? Where do you buy drain declogger? Where do you buy cold medicine? What do you mean they don’t sell antihistamines in Europe!!! You soon learn that stores like Blokker are good for cheap household items, and that Kruidvat is a good Walgreens alternative (including a place to get drain declogger), but that Etos is nicer if you just need personal care items. As for antihistamines, get your family and friends back home to put some in every package they send you or pack extra any time they visit you. Otherwise, learn to love the nose sprays and paracetamol that will be your only option here. Honestly, though, you soon learn and if you ask, someone’s bound to point you in the right direction. Plus, it’s half the fun of exploring and discovering new things! Now that I’ve been here a while, the thing I find most difficult to adjust to is not being able to speak easily and almost dreading having anyone speak to me. The reality, living here in a city center, is that usually the person speaks enough English if I get stuck, but I miss being able to chat easily, even with strangers, or just make small-talk with shop workers or fellow dog owners. That’s the obstacle I’m trying to overcome now and I think once I’m more comfortable with the language, the worst of the adjustment period will be over. Yes, more talk of the carnival from last week. It has served me well with fodder, especially considering the rain we’ve had this week that has kept us indoors. I was surprised to see the American flag popping up in spots I least expected it. There were a lot of very nice stuffed animal toys to be won at the games, and many were more typically Dutch, such as the cows and of course, Nijntje. 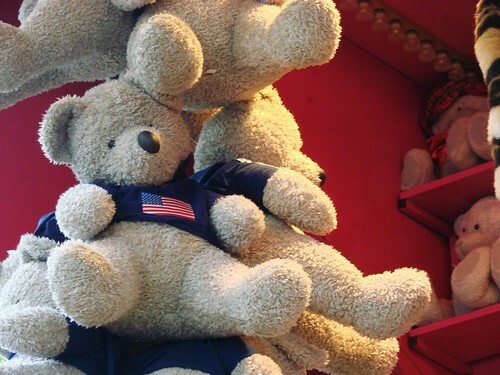 But I also saw these teddy bears sporting an American flag on their shirt. Later in the day, we saw this pink caravan flying both the Dutch and American flags. It was a candy van of sorts, although the only American treat seemed to be popcorn. Still, I did hear one little boy catch sight of the caravan and exclaim, “Popcorn!”, so I guess there’s some demand for it. The US wasn’t the only foreign nation represented. 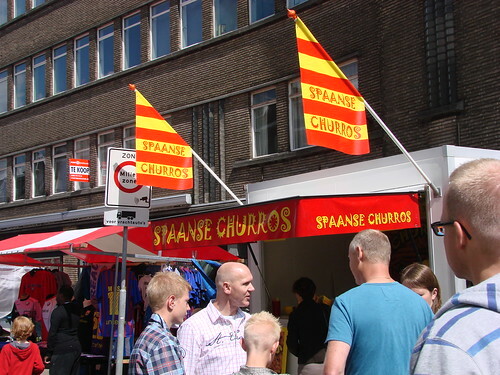 We also saw a couple of stands offering verse Spaanse Churros (fresh Spanish churros). I was tempted by the churros, but in the end decided to make the most of the olibollenkraam to get a mid-year olibollen treat. They’re usually only available around the winter holidays, and they’ve become one of my favorite Dutch treats. Keeping with the foreigners in the Netherlands theme, I headed out yesterday to meet up with a large group of expat ladies. In all, there were 12 or 13 of us, with some coming and going at different times. The US was represented by a few of us, but Canada, the UK, Australia and Peru were all represented, as well. It was a truly fun day spent indoors at the Muntkelder pannenkoek restaurant on the Oudegracht. The frequent rain and the friendly staff that didn’t seem to mind us taking up the back room meant we spent four hours talking and laughing and having a good time. 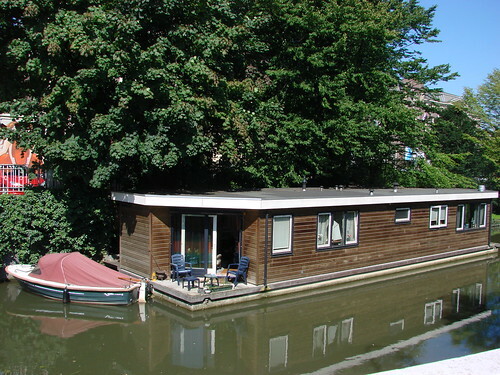 Kiwidutch has an interesting post up about house boats (woonboten) in Amsterdam, so I thought I’d post a photo of one of the house boats near us here in Utrecht. They’re not as common here as in Amsterdam, but there are a couple of them around. Today is St. Patrick’s Day. Not being Irish, it’s not a big deal to me, but I figured it was worth a posting on Trippist, since we’ve got two Irish pubs here in town. Hopefully, they don’t turn their beer green, though. That’s always seemed like an abomination to me. I knew I had taken a photo of Mick O’Connells in the past, but it turns out I hadn’t uploaded it to Flickr, so I spent a lot of time digging through my photo files to find it. I could have sworn I’d also taken a photo of O’Leary’s Pub at some point, but damned if I can find it. So, since I spent so much time finding this photo, I figured I’d share it here, too. Happy St. Patrick’s Day to any of you with Irish connections. 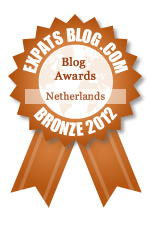 Finally, if you have any interest in the Netherlands, you really should read the blog Amy in NL. She always comes up with really fascinating topics. One of the most recent ones is on the Dutch connection with Japan, a surprisingly old connection. It turns out the Japanese word for coffee is derived from the Dutch word koffe as a result of this long-standing connection. She also includes some links to relief sites to help after the horrible disaster that continues to unfold. I would also like to recommend that you stop by the Handmade Europe shop on Etsy right now, since they have a Europe for Charity shop set up with all proceeds going to Japan via Architecture for Humanity. 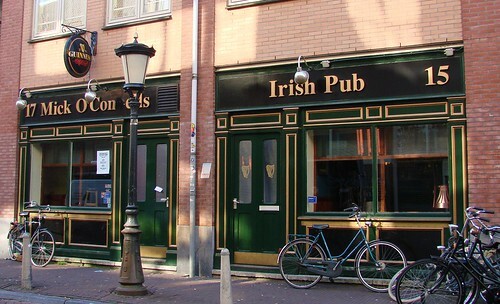 Tiffany, over at Clogs and Tulips, is running a series of interviews with fellow expats. I’m currently featured in the latest interview, which can be found here. Thanks for the opportunity, Tiffany!